"I have tested the image banner silder at my pc successfully, and I want to display the slider at my wordpress blog, how can I install it?" 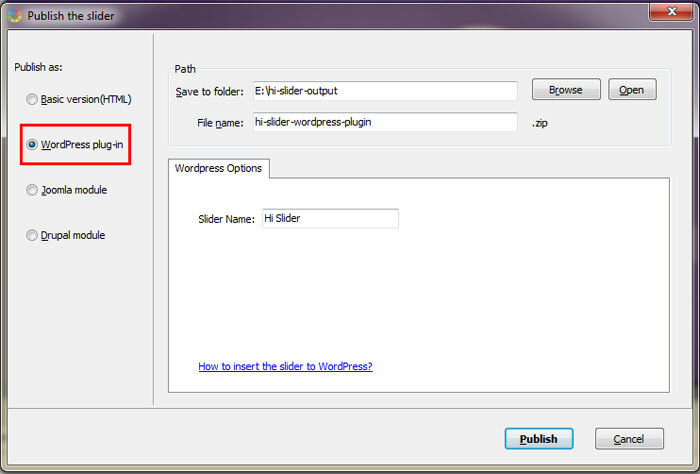 After activating the plugin, click Hi Slider and you will see the plugin in the slider list; and then you can copy the shortcode and add it to your page or post. 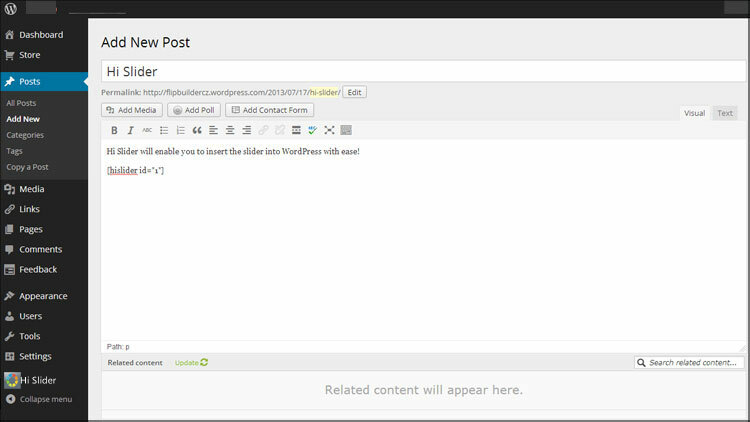 You can preview the slider in your WordPress. How to Add JS Image Slider or Banner Rotator to my Wordpress page? How To build a sliding feature wordpress slideshow for wordPress blog?